If a ginger makes bread, does that make it gingerbread? Aw, geez, I crack myself up sometimes. I even -wait for it- tweaked the recipe and made it my own. And it still tastes good! I’m just as surprised as you are. But, there you have it. I really should buy myself a chef hat at this point. And an apron. I think I’ve earned them. Or gifts are always welcome. I might even give you some bread if you show up with one or the other. And definitely will if you show up with both! Onward to the carb-fabulous bread loaf that I created with my own mind -the recipe- and conjured with my own tiny hands and stubby fingers. 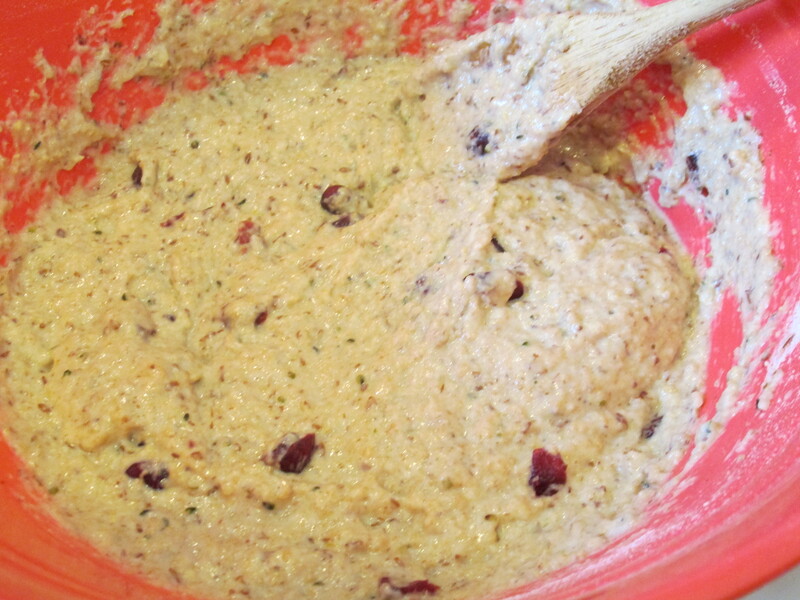 Combine warm water, yeast, salt, applesauce, agave nectar, flaxseed, hemp seeds, dried cherries, and half the flour. Mix thoroughly. Let rise until it doubles in size. 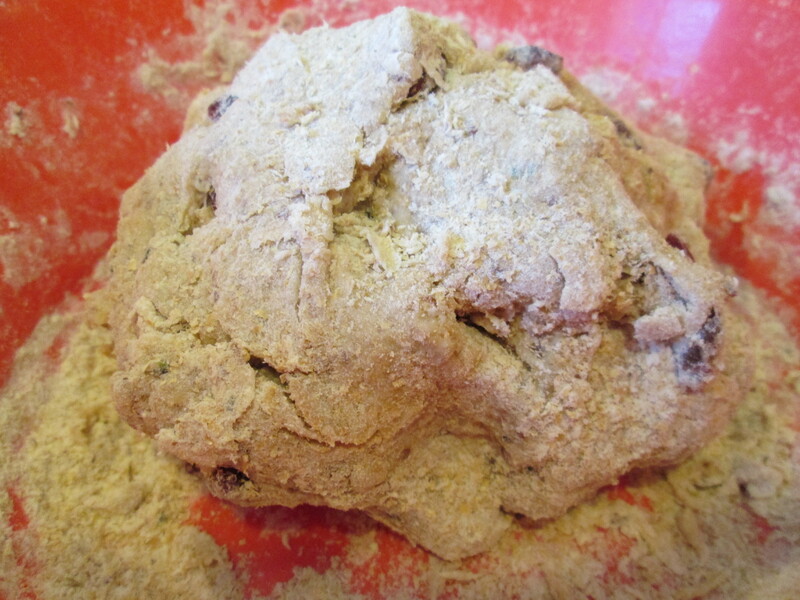 Gradually add the rest of the flour, kneading until smooth. Cover with a damp cloth and let rise again until doubled in size. 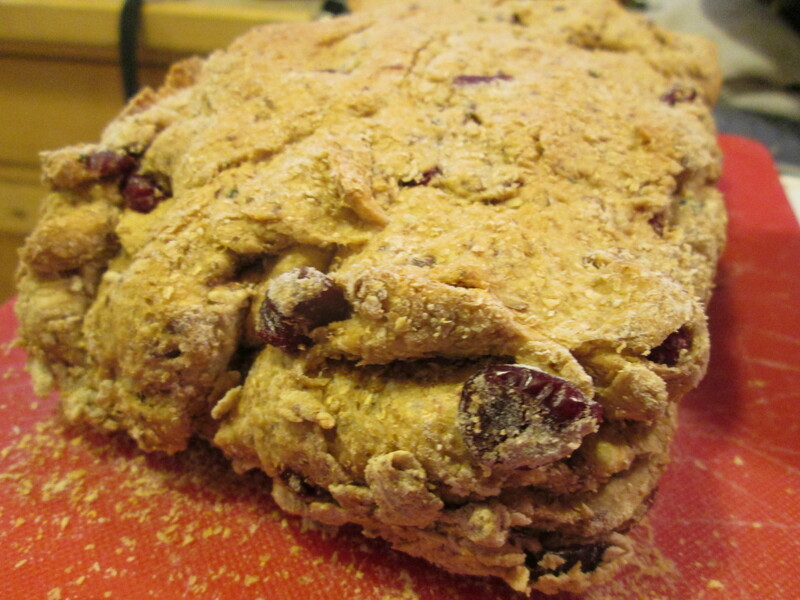 Punch down the dough and let rest for a few minutes -also great to release any additional stress. 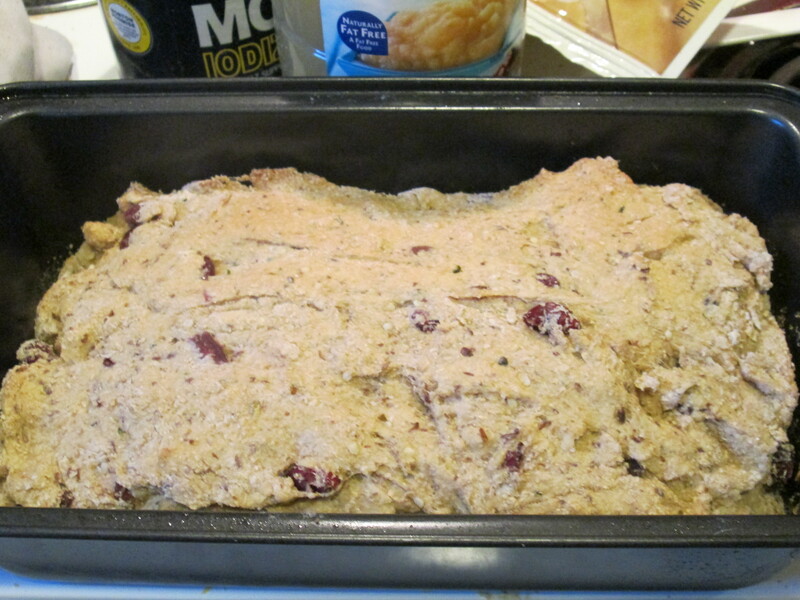 just don’t get too carried away- Shape into a loaf and place in a greased loaf pan. Let rise again until doubled in size. I covered mine with a damp cloth during this step as well. Bake at 350°F for 35 to 50 minutes. The original recipe called for vegetable oil instead of applesauce, 3 tbls sugar instead of agave nectar, and white instead of wheat flour. 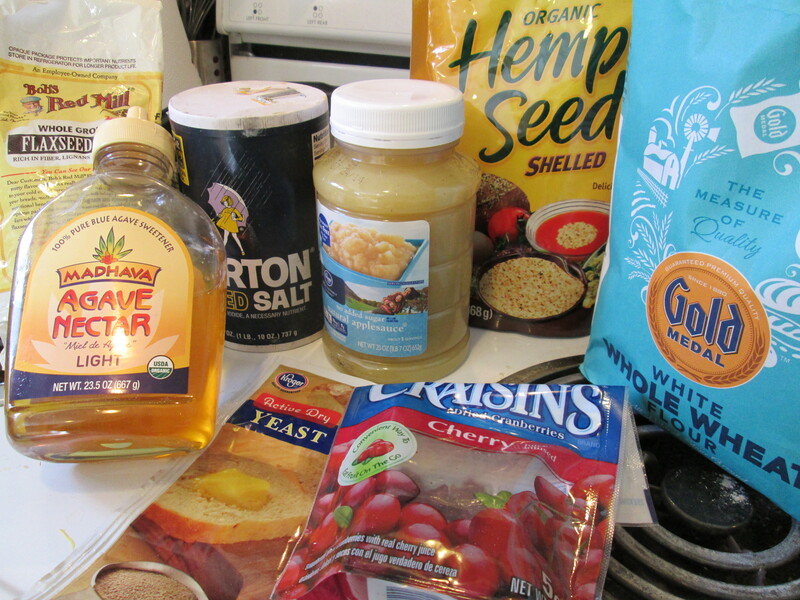 It also didn’t have the flaxseed, hemp seeds, or dried cherries. I brilliantly added those. Essentially, you can put anything in the beginning stages of the dough depending on what type of bread you want. I put in flaxseed and hemp seeds for nutritional value (see my kickass article on seeds if you’re interested), and dried cherries for fun and flavor. 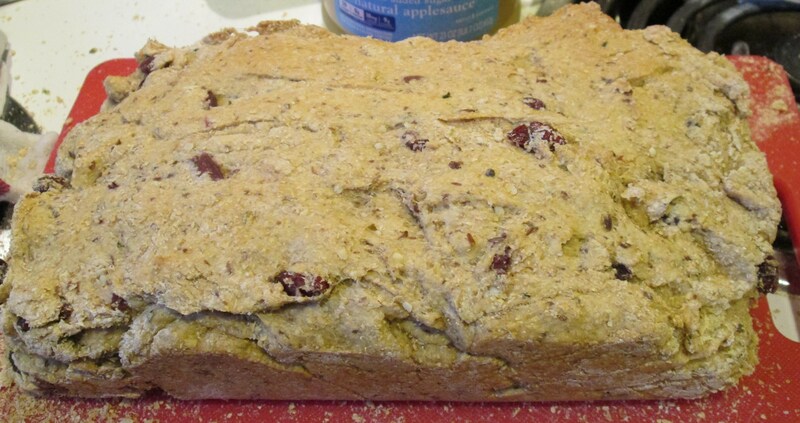 You could add any sort of seed, fruit, nut, or whatever sparks your inner baker’s interest. This bread is vegan friendly, but not gluten free. You could adjust the flour for the bread to make it so (I’m not sure if this would alter the amount of flour, baking time, etc.). To be quite honest, I really had no idea what I was doing in the first place. I’ve never made bread before. I have zero idea how long the dough takes to ‘rise’ and ‘double in size’ during each step. I guesstimated. Next time, I think I’ll give it some more time. Probably 1-3 hours in between each ‘rising.’ I didn’t do that this time and it turned out a little thick (I think that’s the word I’m looking for). Dense. Don’t get me wrong, it’s still very tasty. I just can’t be perfect all the time. Rarely do I falter, though. 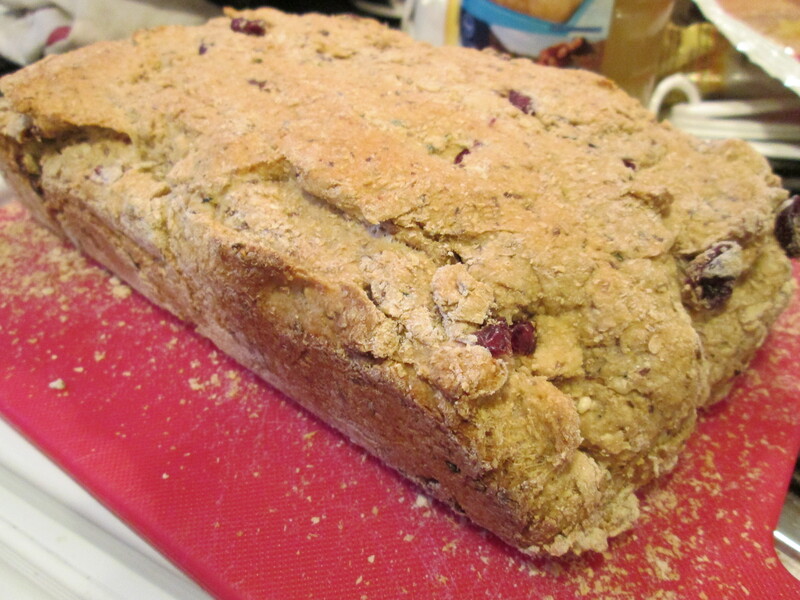 This entry was posted in Cooking, Recipes, Trial & Error and tagged bread, cooking, homemade, recipes, trial & error, vegan diaries. Bookmark the permalink.